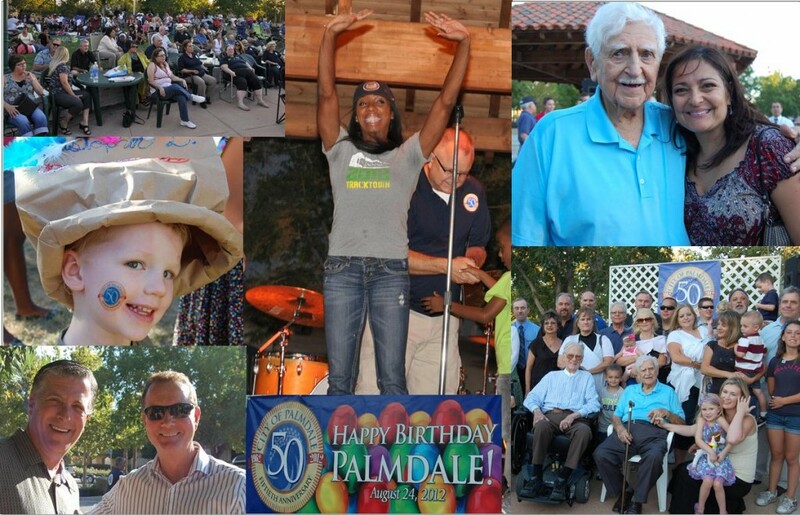 Sights from Palmdale’s 50th Birthday Bash! 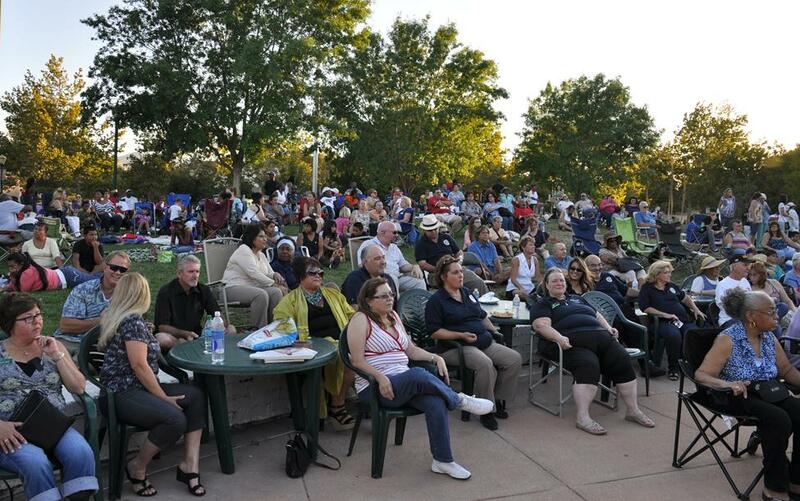 PALMDALE – More than a thousand people of all ages converged on Poncitlan Square Friday evening to join the 50th Anniversary Celebration of Palmdale’s incorporation as a city. Children busied themselves making keepsake party hats, sun glasses, and streamers as parents relaxed under the trees listening to the Tony Capko Orchestra, featuring Bernie Miesinger. Nearly everyone had a story to share about how the city has evolved over the years. Highlights of the evening included a special tribute to the City’s founding fathers, a Palmdale “cheer” led by the Dazzler cheerleaders from Dazzler Cheer, and an appearance by Palmdale resident and Olympic medalist Lashinda Demus. View sights from the celebration below, and then visit our facebook page for many more pictures of the event. 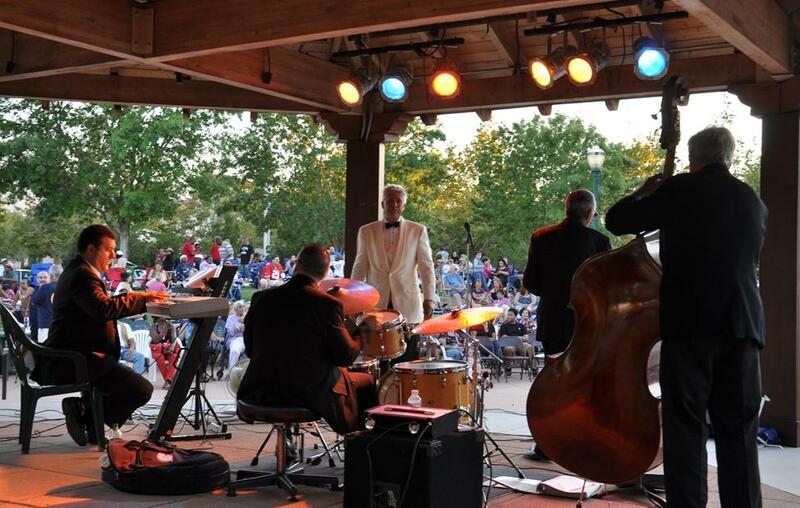 The Tony Capko Orchestra, featuring Bernie Miesinger, performed music from the ‘Rat Pack’ era, which was popular around the time the city incorporated. Lancaster councilman Marvin Crist (left) received a pin in honor of his grandfather, Mason Whitehead, who is one of the city’s founding fathers. “I think this is more than being a representative of Lancaster coming to Palmdale,” said Crist. 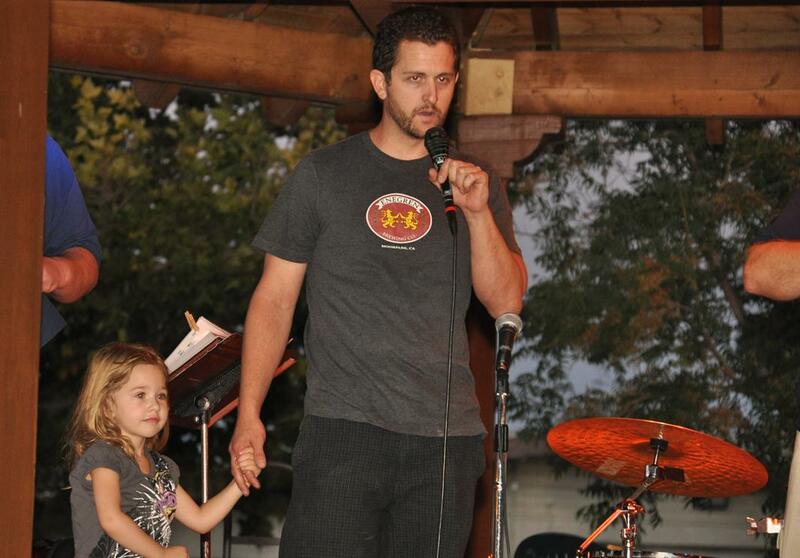 “It’s about bringing a community together… They tried to bring the entire community together by incorporating it. They put their own money into it and they solidified the future of the Antelope Valley.” Crist is also the nephew of another founding father, Eddie Debs. 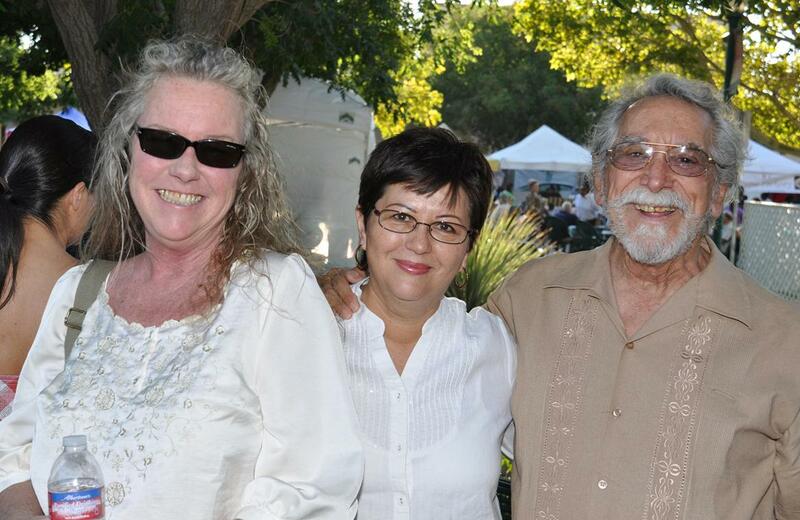 Several Lancaster residents came out to the celebration, including (L to R) Maureen Feller, Lilia Galindo and Ed Galindo. The Dazzler cheerleaders from Dazzler Cheer performed a special Palmdale “cheer” in honor of the city’s 50th anniversary. Demus graciously signed autographs and took pictures with several fans. 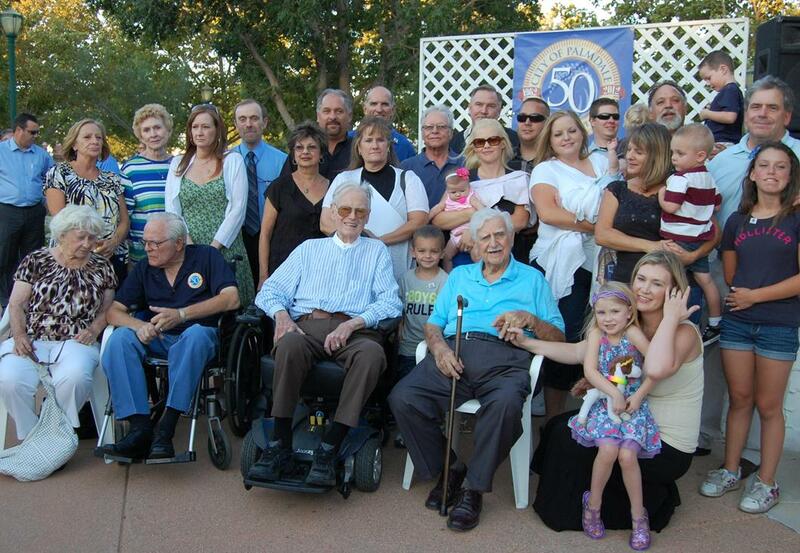 For many more pictures of Palmdale’s 50th Anniversary Celebration, visit our facebook page. 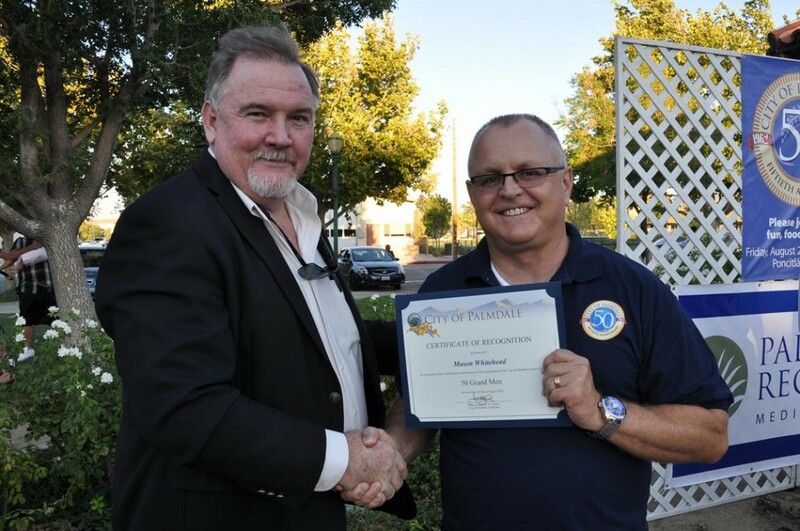 7 comments for "Sights from Palmdale’s 50th Birthday Bash!" Had a great time with family at the Birthday Bash. I couldn’t help getting this feeling that I was at a private party somewhere, and it kind of was – me and my neighbors. I don’t want to get to hokey about this but don’t think I ever really had such a sense of community as I did at this event. Glad to call Palmdale home. I wonder how many people were Robbed, Beat, and Raped during this event? Keep Celebrating the last 50 years in Palmdale! They have all been so Great! Is that Ron Smith in the left bottom of the main photo? How nice of him to join the celebration! It would have been even better if Mayor Parris had put in an appearance. That could have gone a long way in mending Lancaster and Palmdale relations. This was an extremely well put together event! From the music to the vendors to the presentations and tributes, it was A+++ all the way!! And the atmosphere warmed my cold heart. I found myself grinning and waving at total strangers and trading stories with people I had only just met. This was the perfect ending to my very stressful work week. I’m so happy I decided to attend!! I will definitely be getting out to more Palmdale events in the future. Thanks for your comment. 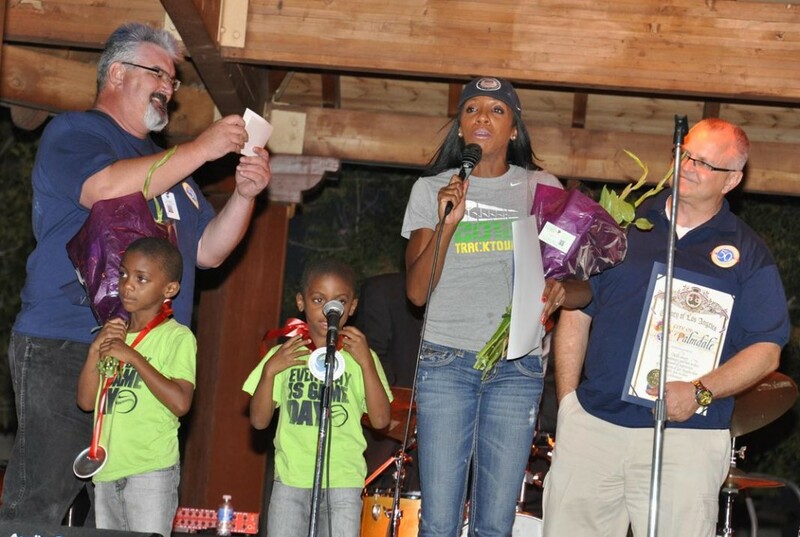 I felt the same way at the even held when Mayor Ledford was in the hospital. People were just great being together. I wanted to go to the celebration but I hurt my back and couldn’t attend. I had a wonderful time at the Palmdale 50th Anniversary celebration. 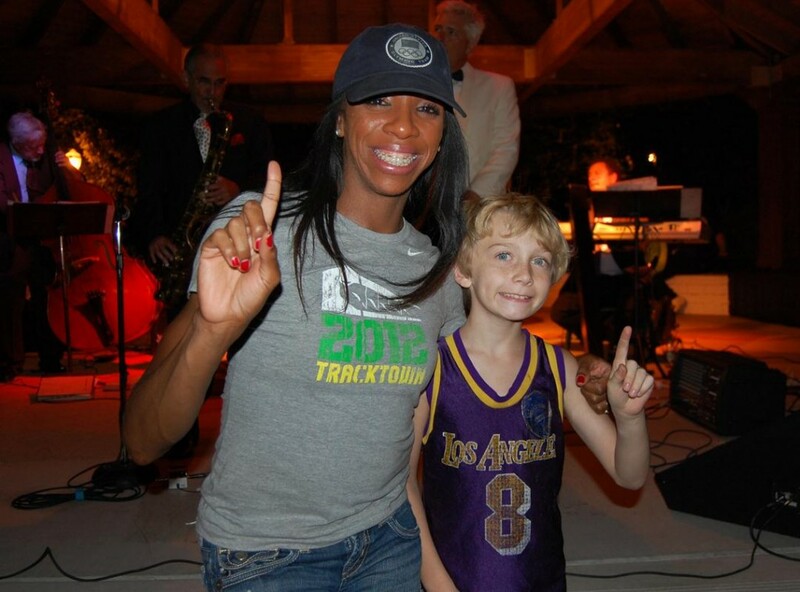 My highlight was meeting the 400-meter Olympic Medallist, Lashinda Demus. I must admit, the party was not the same with out Mayor Jim Ledford. Dr. Miguel A. Coronado, Ed.D.